Easy to read on either light or dark fabrics. Black and white markings printed in 1 inch grids marked in 1/8 inch and 1/4 inch increments. 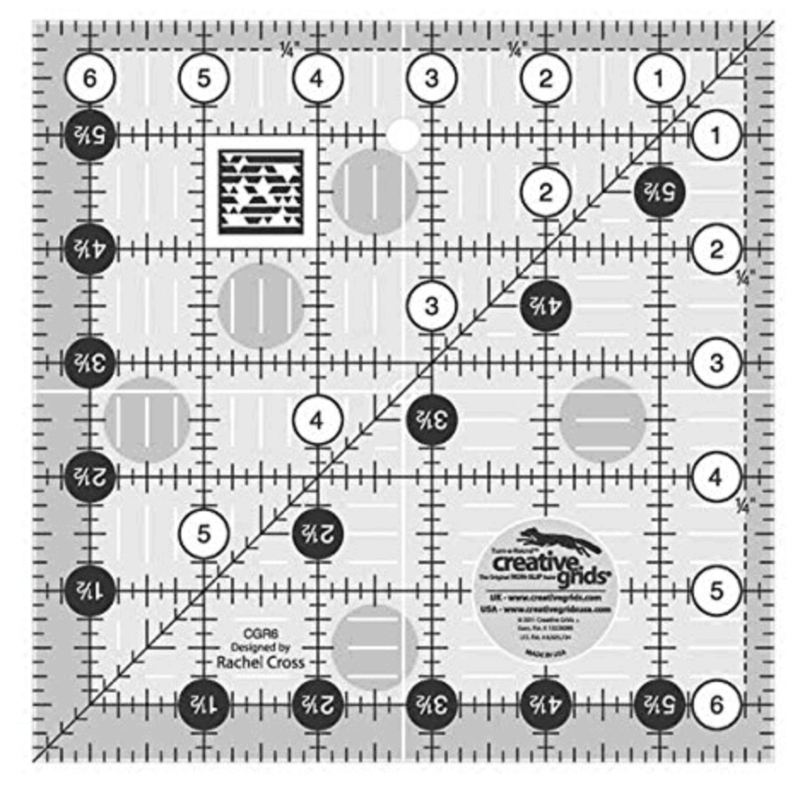 Use 45-degree line to trim half-square triangles to size; center of the ruler is well marked to square up blocks. Slides easily over fabric until pressure is applied; gripper holds fabric in place while cutting, eliminating miss-cuts. Comes with fully illustrated step by step instructions or Scan the QR Code printed on the ruler to view a video demonstration.